Icing physics, aircraft icing, wind turbine icing and anti-/de-icing technology. Wind energy, wind turbine aeromechanics and wake interference. Bio-inspired flows, bio-inspired designs for micro-air-vehicle (MAV) applications. Low-speed aerodynamics, laminar boundary layer separation, transition and flow control. Vortex flow dynamics, wind tunnel testing and correction for vortex flows. Microfluidics, micro-flows and micro-scale heat transfer. Tornados, storms and flow-structure interactions of built structures with strong winds. Particle Image Velocimetry (PIV) and Stereoscopic PIV techniques. Laser Induced Fluorescence (LIF) and Laser Induced Phosphorescence (LIP). Pressure Sensitive Paint (PSP) and Temperature Sensitive Paint (TSP). Molecular Tagging Velocimetry (MTV) and Molecular Tagging Thermometry (MTT). Quantum Dot imaging and Molecule-based microscopic flow diagnostic techniques. IRES Track-1: International Research Experiences for Students in Renewable Energy and Environmental Sustainability. National Science Foundation; 01/01/2019 - 12/31/2021. NNA: Bridging the Atomistic Deformation Mechanisms to the Microscopic Adhesive-to-Cohesive Fracture at Ice-Metal Interfaces. National Science Foundation; 09/01/2018 - 08/31/2021. Anti-Icing Design Test of Aero-engine Inlet Guide Vane; Pratt & Whitney, 01/01/2018 ~ 12/31/2019. Characterization of gas turbine fuel sprays using ISU high-pressure rig (HiPR) facility. UTC Aerospace Systems; 09/01/2018 ~ 08/31/2019. Durable Elastomeric and Metal based Icephobic Coatings for Turbomachinery Ice Protection Applications", NAVY SBIR Project via HygraTek LLC, 09/01/2018 ~ 08/31/2019. Testing of Dupont's Anti-Icing Solution for Wind Turbine Icing Mitigation; DuPont, 06/01/2017~05/31/2018. Ice Adhesion Characterization of Icephobic Materials for Aircraft Icing Mitigation; NASA-AATT program; 09/01/2016~08/31/2019. Testing of Durable Icephobic Composite Coatings for Aircraft Icing Mitigation; NASA SBIR program, through Helicity Technologies; 07/01/2016~12/31/2016. Development of an Advanced Spray Diagnostics Test Rig for the Measurements of Spray Flows Exhausted from Liquid Fuel Injectors. UTC Aerospace Systems (50%) and “Regents Innovation Fund” Program of Iowa (50%); 09/01/2014 ~ 08/31/2015. Inflight Icing Hazard Mitigation Technology; NASA - SBIR program through SPECTRAL ENERGIES, LLC; 07/01/2014 ~ 4/30/2015. "Research and Education Integrated Program on Aircraft Icing and De-/Anti-icing Technology", Iowa Space Grant Consortium; 05/17/2014 ~ 05/16/2017. 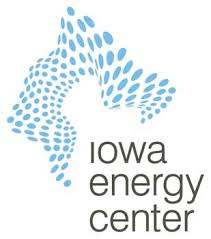 Innovative Dual-Rotor Wind Turbine Designs to Improve Wind Farm Efficiency, Iowa Energy Center; 02/01/2014 ~ 01/31/2015. Experimental Quantification of the Film Cooling Effectiveness at Transonic Conditions; GE Globe Research Center; 07/01/2013 ~ 12/31/2013. Advanced 3D Runback Models for Surface Water Transport; NASA - Atmospheric Environmental Safety Technologies (AEST) program; 01/01/2012 ~ 12/30/2018. Experimental Investigations on Film Cooling Designs for Gas Turbines; GE Globe Research Center; 12/01/2011 ~ 9/30/2013. Innovative Offshore Vertical-Axis Wind Turbine Rotors; Department of Energy; 09/01/2011 – 08/31/2016. Characterization of Surface Wind Energy Resources and Wake Interferences among Wind Turbines over Complex Terrains for Optimal Site Design and Turbine Durability; National Science Foundation; 01/01/2012 - 12/30/2014. Molecular Tagging Techniques for Stratified Flow: Application to Boundary Mixing; National Science Foundation; 09/01/2011 - 08/30/2014. A Wind Tunnel Study of the Interferences of Multiple Wind Turbines over Complex Terrains; IAWIND program, State of Iowa; 07/01/11 ~ 06/30/15. Icing Physics Studies Pertinent to Wind Turbine Icing and De/Anti-icing; National Science Foundation; 04/01/2011 - 03/31/2015 (Role: PI). IRES: US-China Collaboration on Bio-Inspired Aerodynamic Designs for the Development of Next Generation Micro Air Vehicles; National Science Foundation; 04/01/2011 - 03/31/2015. Development of Advanced Flow Diagnostic Techniques to Characterize Next Generation Fuel Nozzles; Grow Iowa Values Fund Program, State of Iowa and Goodrich Engine Component Division; 01/01/2011 - 06/30/2013. Study of Microburst Winds and Their Loading Effects on Built Structures; National Science Foundation; 06/01/2010 ~ 05/31/2014. Theoretical & Experimental Development of Dynamic Roughness for Boundary Layer Control; AFOSR – STTR phase II project (through PHYSICAL SCIENCES, INC; 05/16/2010 - 05/15/2012. On the Simulation of Free Flight Vortices in Ground Test Facilities; Air Force Office of Scientific Research (AFOSR);06/31/2008 - 12/31/2011. Establishment of an ISU-TOKYO Research and Education Integrated International Collaboration Partnership; National Science Foundation (NSF); 01/01/2008 ~ 01/31/2012. CAREER: Development of a Novel Molecule-based Diagnostic technique to Study Joule Heating and Micro-scale Heat Transfer Process in Electrokinetically-driven Microfluidics; National Science Foundation; 02/01/2006 ~ 01/31/2012. Enhancing the Understanding of Extreme Winds Near Ground and Their Damaging Effects for Hazard Mitigation; National Oceanic and Atmospheric Administration (NOAA); 09/1/2009 - 08/31/2011. Development of the Next Generation of Vortex Flow Meters for Engine Applications; Grow Iowa Values Fund Program, State of Iowa; 01/01/2009 - 06/30/2010. A Study of Extreme Winds near Ground and Their Damaging Effects on the Built Environment; National Oceanic and Atmospheric Administration (NOAA); 08/31/2008 - 09/01/2009. Development of the Next Generation of Vortex Flow Meters for Engine Applications; IPRT fund, State of Iowa;10/01/2007 ~ 03/31/2008. Reducing Wind-Induced Damages from Storms; National Oceanic and Atmospheric Administration (NOAA); 09/01/2006 ~ 08/31/ 2008. MRI: Acquisition of a High-Speed Particle Image Velocimetry System for Single- and Multi-Phase Fluid Dynamics Research; National Science Foundation; 09/01/2005 ~ 09/01/2006.